What makes a product good? At Tom's, it includes how we make it. We share every ingredient, its purpose, and its source. We strive to maximize recycled content and recyclability of our packaging. 5% (12 days) of employee time to volunteering. 10% of profits to human and environmental goodness. 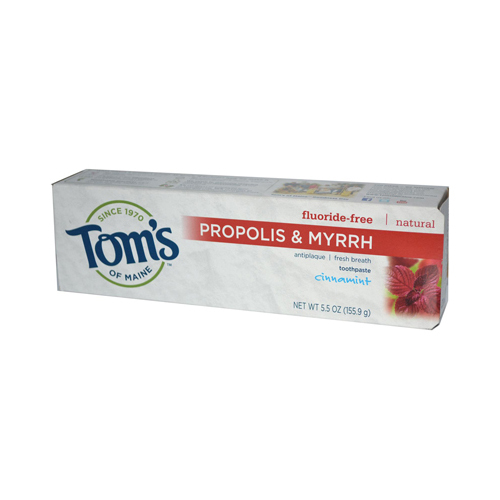 Free Of Fluoride, animal testing, animal ingredients, artificial colors, flavors, fragrance, or preservatives. Disclaimer These statements have not been evaluated by the FDA. These products are not intended to diagnose, treat, cure, or prevent any disease. 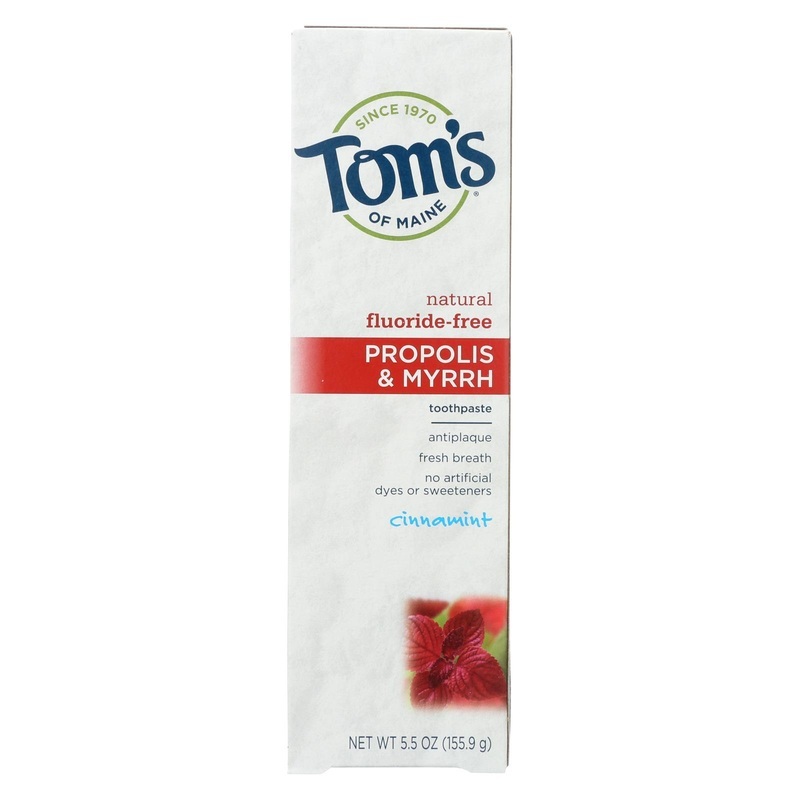 Helps prevent plaque buildup with regular brushing. Ingredients: Calcium carbonate, water, glycerin, xylitol, Chondrus crispus (carrageenan), sodium lauryl sulfate, Cinnamomum cassia (cinnamon) leaf oil and other natural flavors, sodium bicarbonate, Commiphora myrrha (myrrh) resin extract, propolis extract. 9.3" x 9.2" x 8.1"